Duval County School Board Chair Paula Wright speaks Tuesday, with other board members and Superintendent Patricia Willis around her. Duval County students last year scored at the top in several areas on a national test compared with other large, urban districts, according to rankings released this week. However, district staff said the test differs widely from Florida’s state assessments in both content and scoring methods. The NAEP test, also called the Nation's’ Report Card, allows for comparison across states in Common Core standards. 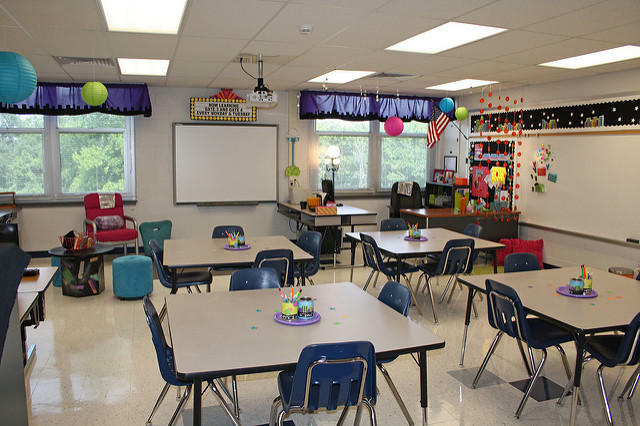 In addition, 27 urban districts including Duval opted for district-level ranking. “If this national accountability program were the Olympics we could say Duval students earned a medal in almost every category,” Superintendent Patricia Willis said. The NAEP tested a pool of fourth and eighth graders that are representative of district demographics in math and reading. Duval ranked near the top or first in almost every measure, including minority sub-groups and students with disabilities. 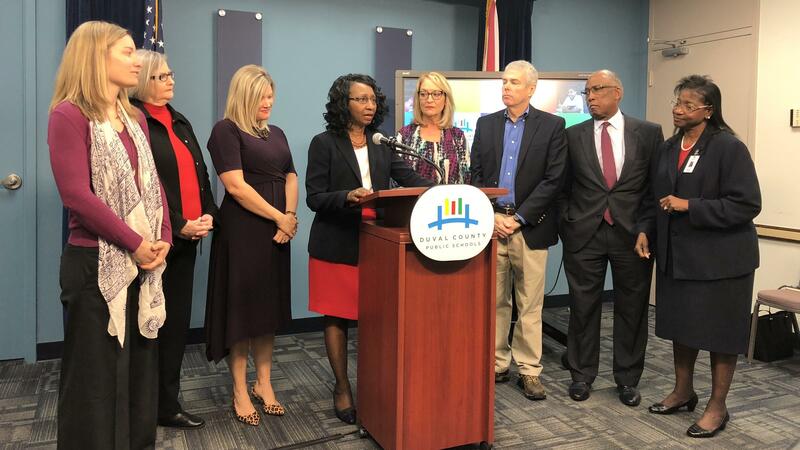 Among the 27 districts, Duval was number one in fourth-grade math, and for achievement by students with disabilities, and among African-American students. Duval scored the lowest in eighth-grade math, “But even so, we still finished in the top 10,” Willis said. Despite their national success, Florida students’ advancement and school grades are largely based on state assessments, which are different both in the types of questions and the scoring algorithm, Duval Chief Academic Officer Mason Davis said. “The way NAEP scores the assessment is straight criterion referenced and the way that the state scores our assessment is they take a criterion referenced test and norm it after the fact,” Davis said. He said after Florida students’ scores come back, then the state makes scoring adjustments and there will always be a bottom quartile of students, even if they’ve all improved. Duval County students scored the highest among the 27 districts and as well as higher than the state, national and large city averages. Duval’s African-American students ranked first, improving eight points since 2015. Duval’s Hispanic students and students on free and reduced lunch ranked second to Miami-Dade. But the county’s students with disabilities ranked first, although they scored three points lower than when the sub-group was tested in 2015. Overall Duval County was third, only beat by two other Florida districts, Hillsborough and Miami-Dade, an improvement of one point. Duval was second to Miami-Dade for African-Americans, Hispanics and students utilizing free and reduced lunch. 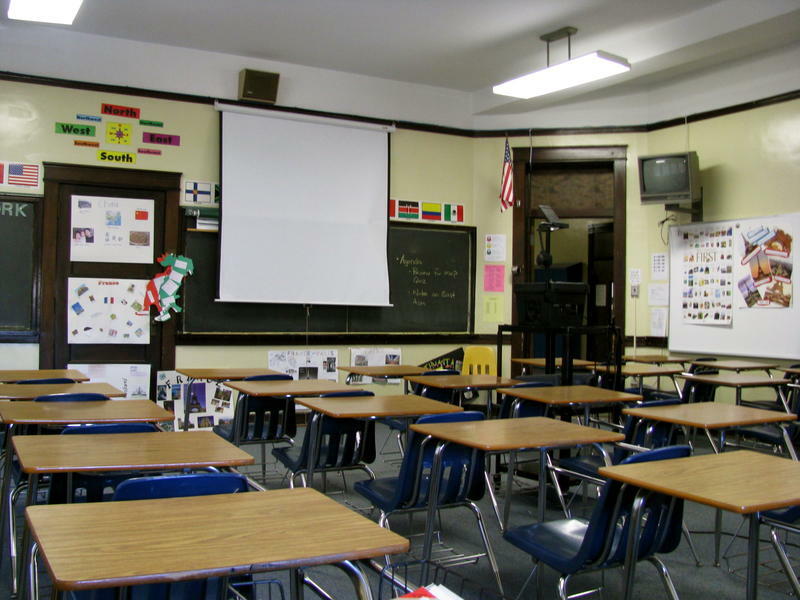 Duval County students tied with New York City for eighth place, which was above the large city average, but below the state and national averages. Duval did not improve or decline in this area from when students took the test in 2015. Duval County was second to Charlotte, North Carolina in terms of African-American students taking the math test and third for Hispanic students. Duval students utilizing free and reduced lunch ranked 10 out of the 27 in this area. 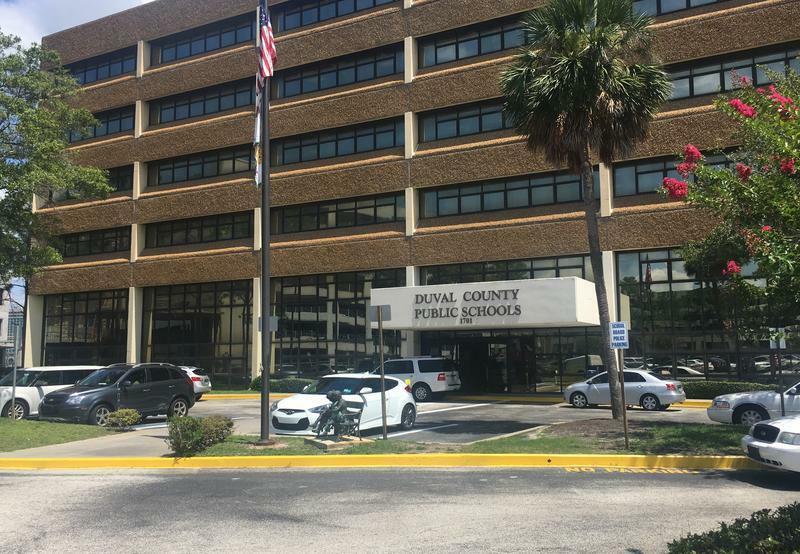 Duval ranked third among the 27 urban districts, four points below the state average and two points below the national average, but five points higher than the large city average. African-American students ranked first and students with disabilities ranked second to Miami. Lindsey Kilbride can be reached at lkilbride@wjct.org, 904-358-6359 or on Twitter at@lindskilbride. The top three factors new teachers say would contribute to them deciding to quit their jobs in Duval County Public Schools are pay, school culture and lack of support. That’s on par with how teachers are feeling across the country, according to the Education Week Research Center. Auditors were overwhelmingly positive about Duval County’s elementary language-arts curriculum after the first phase of their probe, examining the materials’ alignment with state standards. Mid-year academic data show Duval County first-graders are lagging behind last year’s class in reading, while students taking biology are doing better by 18 percentage points.